Boogie Wipes® are made with saline to dissolve boogies (mucus) caused by the common cold, allergies or otherwise booger-filled kid moments. 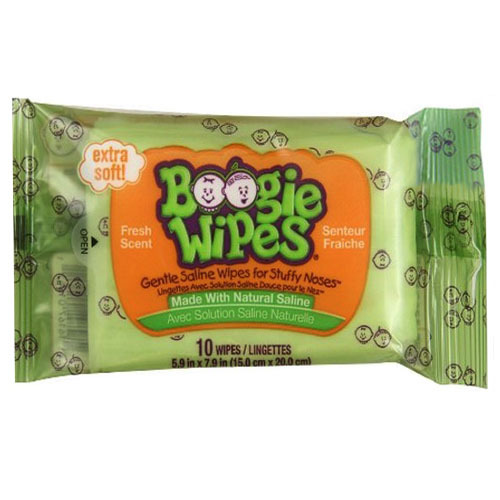 Boogie Wipes® are recommended by parents and pediatricians as a gentle, effective alternative to a dry tissue. Developed by moms tired of chasing runny noses, this provides an extra soft alternative to dry tissue or regular baby wipes. Extra soft and gentle enough for all ages. Contains vitamin E, aloe, and chamomile to soothe and moisturize noses.